Although pop culture continues to assert that money makes the world go ’round, our experience tells us that it is, in fact, Love at the center of our lives and our universe. We always enjoy seeing the ways that our products and general philosophy affect your lives, but were especially moved to see this creative example of love in action. German Launch Box enthusiast Boris Forkel took his commitment to moving through life choosing love to the next level when he handcrafted these matching aphorism wedding bands. 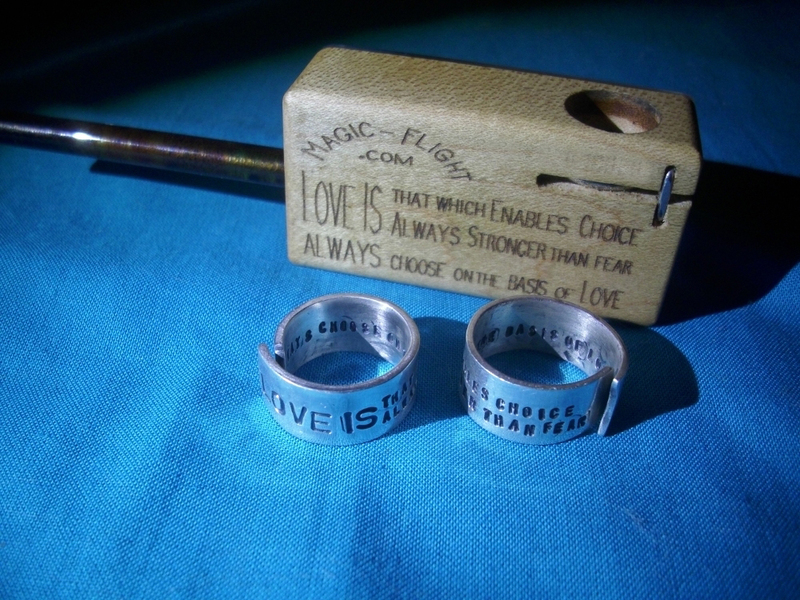 We love your product so much, we even had our wedding rings made with the famous quotation on them (see picture).